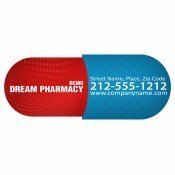 Custom healthcare magnets are perfect for healthcare services which aim to position their contact details before their potential clients. 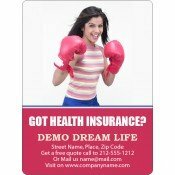 These promotional magnets help healthcare marketers by sticking their business information before their clients in an impressive way. Made from durable and high quality stock material, these small valuable items will aid healthcare marketers to gain the highest returns from their investment. Avail free shipping anywhere within the contiguous USA. 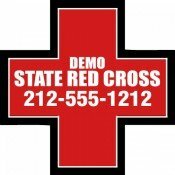 Customized healthcare magnets aid healthcare services to keep their business contact information in easy- to- find locations. Do you know what the main difference between a healthcare magnet and a regular business magnet is? The former caters to the basic need of people which is healthcare and later is very business centric. People will happily stick such promotional healthcare magnets over their refrigerator doors or work cabinets because the quality of their life depends on this information. Today, healthcare marketing has become more of a multimillion-dollar corporate advertising than a personal self-expression. People have strong disrespect for multimillion-dollar advertisements because They know that in most cases, they are exaggerated. They turn to the internet or their close friends to know their opinion about particular healthcare services. Word-of-mouth advertising still works for healthcare services which largely cater to local audiences. 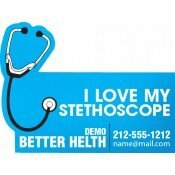 Our collection of personalized healthcare refrigerator magnets are equipped with Healthcare Business Card Magnets, Stethoscope Refrigerator Magnet, Nurse Fridge Magnets, Red Cross Refrigerator Magnets, Medication Magnets and Health Plan Custom Magnets. Healthcare marketers can select from them according to their promotional requirements and budget. 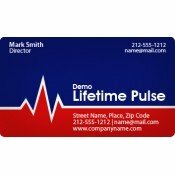 Over the years, healthcare marketers have been habitual of giving away business cards, promotional brochures or some small value promotional gifts. Now they can easily turn to these sticky promotional magnets which offer them long-term visibility over other small promotional items or strategies. We offer free art setup, free online design proof and free full color printing on all orders which means healthcare marketers can further their investment savings. To know more about customization, distribution, shipping or any other aspect, feel free to contact us at 855-762-4638 or write to us at info@cmagnets.com.